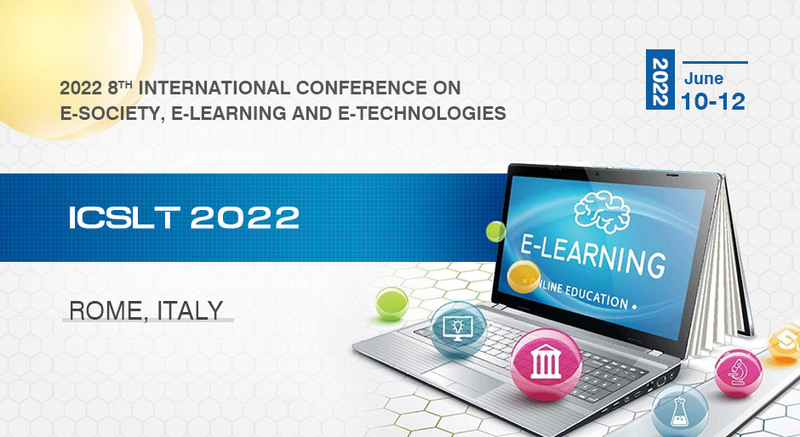 2020 6th International Conference on e-Society, e-Learning and e-Technologies (ICSLT 2020)Submit Your Paper Right Now ! 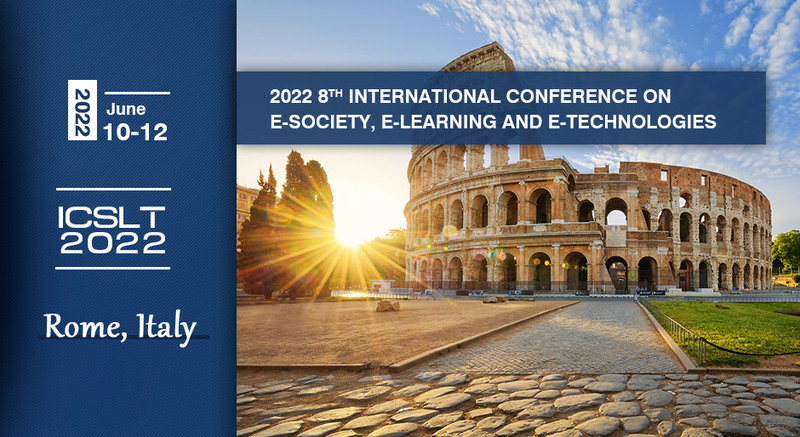 2020 6th International Conference on e-Society, e-Learning and e-Technologies (ICSLT 2020) What's the Registration Price? You are invited to participate 2020 6th International Conference on e-Society, e-Learning and e-Technologies will be held in Portsmouth, United Kingdom during January 9-11, 2020. It's supported by University of Portsmouth. ICSLT is the main annual E-science-related conference aimed at presenting current research being carried out. The idea of the conference is for the scientists, scholars, engineers and students from the Universities all around the world and the industry to present ongoing research activities, and hence to foster research relations between the Universities and the industry. This conference provides opportunities for the delegates to exchange new ideas and application experiences face to face, to establish business or research relations and to find global partners for future collaboration. ICSLT 2020 features invited keynote speeches as well as peer-reviewed paper presentations. The conference is completely open (one needs to register first), you will not have to be an author or a discussant to attend. Submissions will be peer reviewed and evaluated based on originality, relevance to conference, contributions, and presentation. We provide a good opportunity by admiring your updated research knowledge and also by publishing it in the conference proceedings. The accepted paper of ICSLT 2020 will be published into the Conference Proceedings, which will be published in the International Conference Proceedings Series and archived in the Online Digital Library. The paper will be indexed by Ei Compendex, Scopus and the others. ICSLT 2020 acceptes abstract paper, which is only accepted for presenting not for publication. 1. Click to download the Full Paper Formatting Template.